Activities for professionals are aimed at helping individuals see their work as a context for personal growth. The talks and seminars are great places to meet other individuals who aspire to achieve their personal best and want to make a positive contribution through their professional and personal lives. Rimbrook's chaplain gives a 30 minute reflection on the gospel and insight on living the faith in action. This is followed by a talk on how to find God in ordinary life. An afternoon of reflection. Includes guided prayer, Eucharistic adoration and practical suggestions on how to find God in daily life. 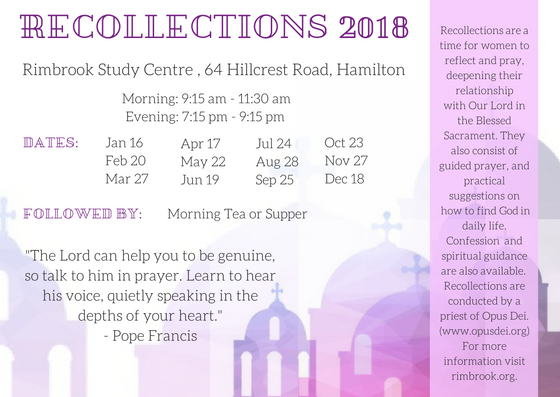 Sacrament of reconciliation and spiritual guidance are also available.